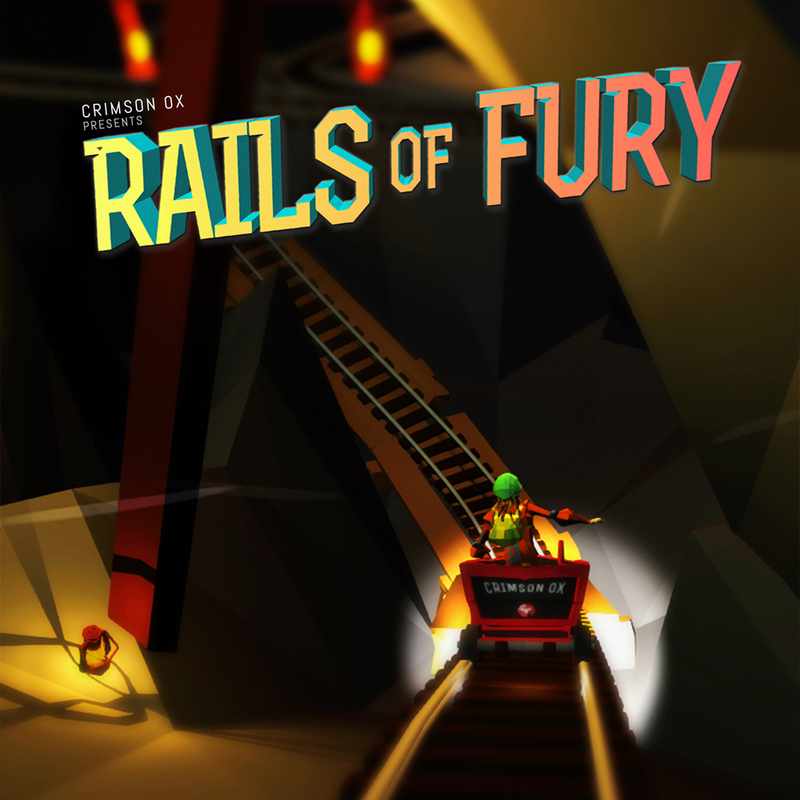 Rails of Fury is a 3D, high-speed, on rails platformer created by a team of 5 students in Unity for the PC. The winding caves and grottoes of Mount Mondo crackle with eager anticipation and excitement. Whispers and rumors run through the crowd... Could it be true? Could the legend be back? YES! Jace Wango, Extreme Athlete/Organic Potato Farmer is back in the cart, and ready to make those rails spark once again! 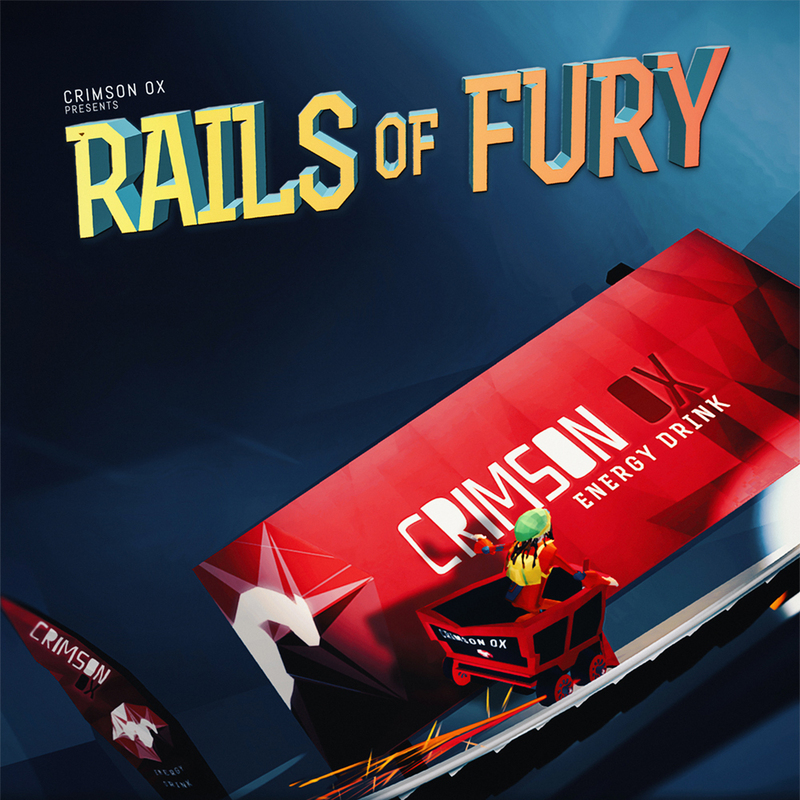 Join Crimson Ox Energy Drinks in this once-in-a-lifetime comeback event, Rails of Fury (Sponsored by Crimson Ox Energy Drinks). High-speed world record breaking, insane turns, massive jumps, daring stunts are just part of the action. Rails of Fury is an event you don't want to miss! Adrenaline! Drama! Wipe-outs! Energy Drinks! Join Jace Wango, Extreme Athlete/Organic Potato Farmer, as he makes his comeback to the world of Para-Karting in the caves of Mount Mondo. Crimson Ox Energy Drinks has spent millions to reshape the entire inside of a mountain for Rails of Fury, the best damn extreme sporting event humanity has ever seen. With Jace Wango in the driver's seat, world records WILL be broken! Drink Crimson Ox! Taste the Mountain, Taste the Extreme. Implemented Splines for Player Movement and manipulated them to incorporate the team's intended gameplay design. Implemented Air Gliding, Track Switching, Ramp Jump, Score System and Stunts. Set up seamless level transitions using Asynchronous Level Loading. Integrated Controller Vibration-Feedback using XInputDotNet Framework. Designed and programmed the user interface for the entire game. The user interface took inspiration from the fantastic designs made for Forza MotorSport 4, Forza Horizon, DiRT3, Need for Speed Rivals and Assassin's Creed III. Integrated and implemented the Audio, Art and Animation assets in the game. Rails of Fury was developed by a team of 5 students attending the Game Design program at Vancouver Film School.